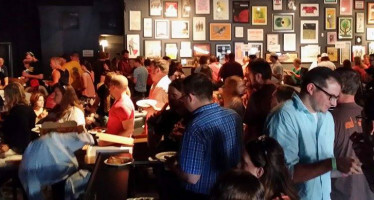 Food & Spirits Magazine hosted the 9th Annual Omaha Pizza Review at The Waiting Room Lounge and Reverb Lounge on June 6th at 6:30 pm. Musicians Brad Hoshaw and Kait Berreckman performed. Those attending voted for their top three pizzas and judging was conducted by Food & Spirits Magazine’s panel of judges. Classic Cheese – The standard by which all pizzas should be judged. 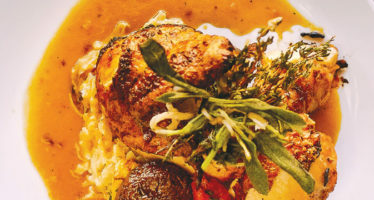 Flavors that stand on their own, not hidden by ingredients. Ricco’s Red – Italian sausage, pepperoni, red onion, and basil pesto, with mozzarella and our house-made red sauce. Meatball Pizza – Our thin crust with housemade marinara and meatballs, mozzarella and provolone cheeses, topped with a drizzle of Calabrian chile oil. Pepperoni – Top shelf pepperoni made just the way you like it. Husker Pie – Alfredo​, Mozzarella, red onions, sweet corn, bacon. Combo – Hamburger, pepperoni, sausage, green pepper, mushroom, onion, black olives. Vegetarian Combo – Green pepper, mushroom, onion, black olives, tomato. Double Pepperoni – Just like it sounds. Loads and loads of pepperoni make this a pizza you don’t want to miss! Bacon Gouda – Bacon, mozzarella, gouda, & caramelized onion. Sweet Chili Chicken Pizza – Chili base, grilled chicken, cream cheese, red onion, red pepper, pineapple, our house blend cheese and topped off with chopped fresh scallions. 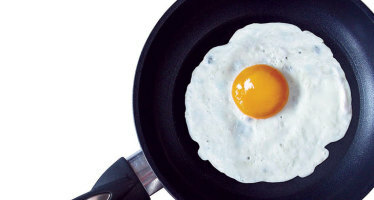 Food Service Warrior: What’s a ‘Fried’ Egg?